There are any number of steps you can take to have a more efficient and comfortable home. Good insulation, an efficient HVAC unit and proper doors and windows are all important. However, it’s also important to remember that instant savings can be as easy as setting your thermostat. Here at Precision Air, we like to think of your thermostat as the heart of your system. This is where you will set all your crucial functions, such as temperature throughout the day. If you think strategically about how you set your thermostat, you can save money without sacrificing comfort. Below, we’ve come up with a few helpful pointers to assist you in getting optimal performance as efficiently as possible. Are you just setting your thermostat for one temperature in the summer and one in the winter? If so, you are not taking advantage of one of the most important cost-saving weapons in your home. Having a digital programmable thermostat will make this job easier, but it isn’t necessary. Even an old out-of-date thermostat can save you money if it is used correctly. One advantage of our mild Arizona winters is that a savvy homeowner can knock some serious coin from the energy bill. If you can remain comfortable in the high 60s, set your thermostat for that temperature. We find 68 or 69 to be a good comfortable temperature. Once you start creeping into the 70s, you’ll start seeing a higher energy bill. Set your programmable thermostat a few degrees cooler during the hours you are usually away or at work. If you have a manual dial-type thermostat, just be sure to remember to turn it a bit lower before you leave. It’s also not a bad idea to make it a little cooler inside while you sleep. If you’re wrapped up in blankets at night, you won’t even notice. Making these simple adjustments in the winter could save you 15% on energy costs. There’s no doubt your energy costs will rise over the summer. It’s part of the deal when it comes to living in Arizona. However, there is still plenty of savings to be had when the mercury rises. The first thing you’ll want to do is determine the highest temperature you feel comfortable with while you’re at home. Even if the temperature inside your home is 78 degrees, it will feel very pleasant when you are walking in from the 100-plus degree heat. Just do the opposite of what you did in the winter and kick it up a few degrees when you leave home – just a few degrees though. If you make it too hot while you are gone, it will take longer to bring your home back down to a comfortable temperature and use more energy trying to get there. Why Invest in a Digital Thermostat? While there’s no doubt you can use any type of thermostat to save money, investing in a digital thermostat or a smart thermostat will make the job a lot easier. The reason is quite simple: once you set it, you’re cutting out much of the capacity for human error. Just input the times of day and temperature changes and let it go. You won’t have to remember to reset it every day before you leave. Another option is investing in a smart thermostat. These take digital to the next level by actually learning your habits and self-adjusting to maximize your savings. 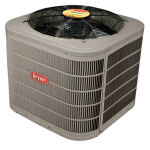 When paired with a highly efficient HVAC unit, you will see significant savings during warmer and cooler parts of the year. 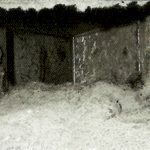 Is Your Unit Ready for Another Season? Do you think your heating and air conditioning system is ready to tackle the next seasonal shift? Call the experts at Precision Air today to schedule a tune-up. Our expert technicians will take a careful look and make all the necessary tweaks to give you the peace of mind that comes with knowing you’ll be comfortable any time of year. Give us a call day or night at 602.Fix.MyAC (602-910-2758) to learn more about how we can help you today! 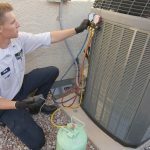 Why Perform Air Conditioning Maintenance?